local mean: all pixels belonging to the structuring element to compute average gray level. percentile mean: only use values between percentiles p0 and p1 (here 10% and 90%). 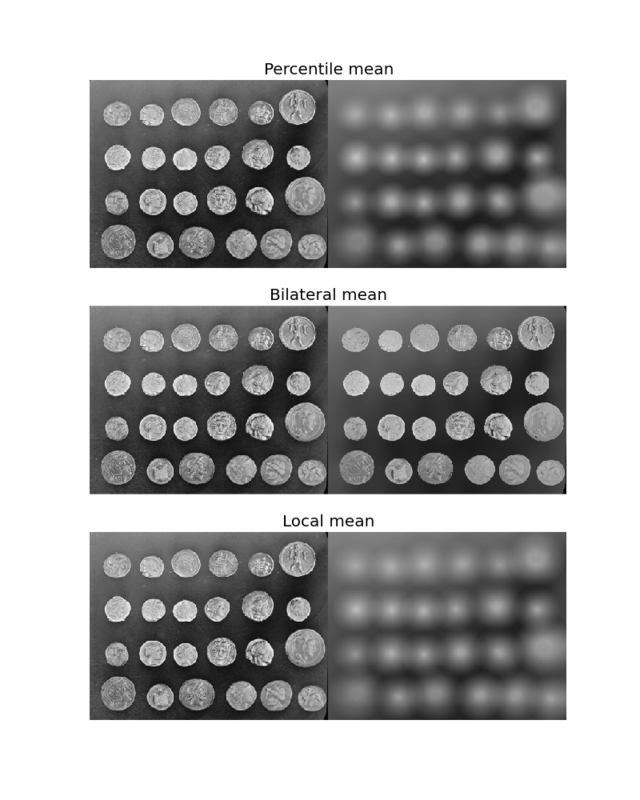 Percentile and usual mean give here similar results, these filters smooth the complete image (background and details). Bilateral mean exhibits a high filtering rate for continuous area (i.e. background) while higher image frequencies remain untouched.